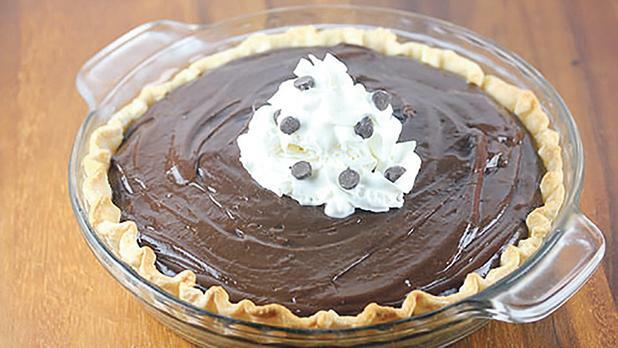 Here are some warm and easy-to-cook recipes you can concoct very quickly, together with a delicious pie for those of you with a sweet tooth – courtesy of Blogchef.net. Heat a large skillet or griddle to medium heat. Spread butter one side of the bread and place butter side down onto the griddle. Place one slice of cheese on top of the bread. Layer two slices of turkey on top of the cheese and top with an additional slice of cheese. Add the other bread slice and butter the top. Cook until golden brown on the bottom, flip and cook until golden brown on the other side. Repeat with remaining sandwiches. Melt the butter in a skillet over medium-high heat. Whisk in the flour and cook for two to three minutes, be careful not to burn the butter. Add the chicken broth a little at a time, while whisking. Cook until the gravy has thickened. Season with pepper. 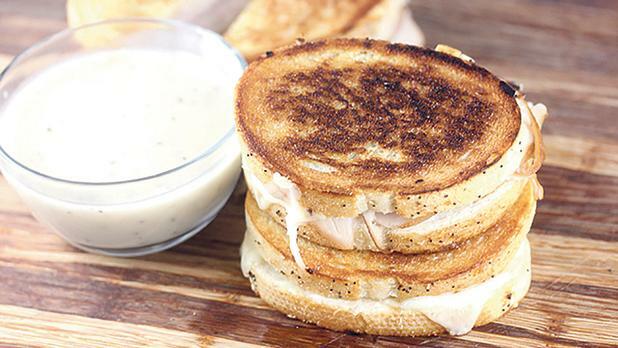 Dip the sandwiches into the gravy for serving. Preheat the oven to 350 degrees F. Spray a 9 x 13-inch baking dish with cooking spray. Place the frozen hash browns into the baking dish. Season with salt and pepper. Melt ¼ cup of the butter and pour it over the hash browns. In a medium bowl combine sour cream, cream of chicken soup and cheddar cheese. Spread the mixture over the potatoes in the casserole dish. Melt the remaining ¼ cup of butter and mix it with the two cups of crushed corn flakes. 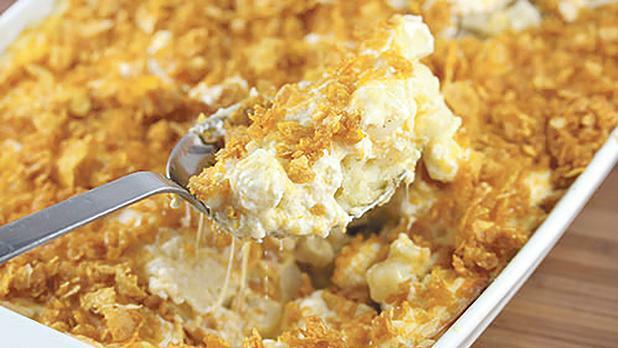 Sprinkle the cornflakes over the top of the casserole. Cover the casserole dish with aluminum foil. Place into the oven and bake for one hour. After one hour, remove the tin foil and cook for an additional 15 minutes or until the cornflakes are browned on top and the casserole is bubbly. Bake the pie shell according to package directions. Remove from the oven and cool. In a two-quart saucepan stir together sugar, cornstarch, and salt. In a medium bowl combine egg yolks and milk. Gradually blend the milk mixture into the sugar mixture in the pan. Cook over medium heat, stirring constantly, until the mixture comes to a boil. Boil and stir for one minute. Remove from the heat and stir in butter and vanilla extract. Add one and three-quarter cups of the chocolate chips and stir until the chips are melted and the mixture is well blended. Pour into the prepared pie shell. Cover with plastic wrap and press the plastic wrap onto the filling. Cool. Refigerate for several hours or until chilled and firm. Top slices with whipped cream and remaining chocolate chips if desired.